I mentioned in yesterday’s post that MJ and I had encountered a book at the doctor’s office called “A Book About Disobeying.” Thinking about it, I felt that this little tome deserved further attention. Especially because one of my readers wrote in to say that she had encountered the same book at her kid’s dentist’s office. Whaaaaat? This is a book so strange, so unsettling, so creepy and so, um, draconian, that I had to give my doctor the benefit of the doubt and assume it was some out-of-print donation from a sadistic former patient. But no. 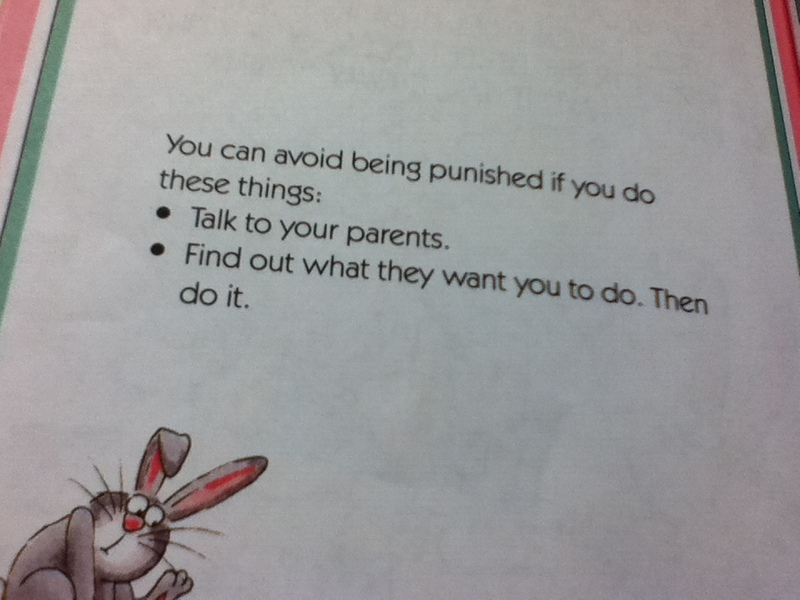 Not only is “Disobeying” published by Scholastic and widely distributed, it is part of a series! There’s a boxed set! Called the “Help me Be Good” collection! 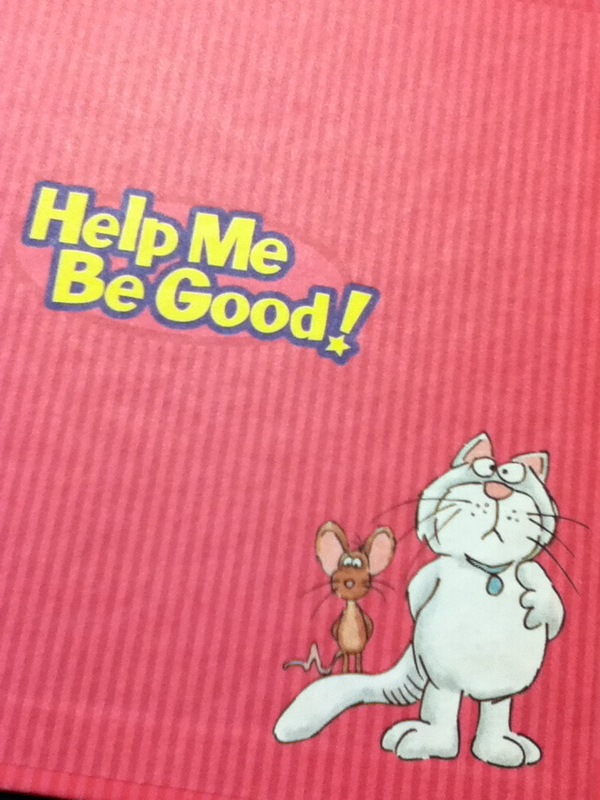 This complete Box Set features all 28 bestselling titles from the Help Me Be Good series along with a triple CD of read-alongs and songs, plus bonus Parent’s Guide with activities for every book…Titles Include: Being Lazy, Being Forgetful, Being Careless, Being Messy, Being Wasteful, Overdoing It, Showing Off, Being a Bad Sport, Being Selfish, Being Greedy, Breaking Promises, Disobeying, Lying, Interrupting, Whining, Throwing Tantrums, Complaining, Teasing, Tattling, Gossiping, Being Rude, Snooping, Cheating, Stealing, Being Bullied, Being Bossy, Being Destructive, and Fighting. Frankly, that all pretty much describes me on a good day. There’s not much you can do but laugh. Mike, in fact, having the twisted sense of humor that he does, thought the whole thing was so funny, so awesome, and so perfect — in an ironic way, of course — that he chided me for not stealing the book from the waiting room. He wants a copy desperately — heck, he wants twenty. One for him and one for all of his friends from art school. Fortunately there are plenty available on Amazon, for $3.79. Can you say Father’s Day? I think I should probably get him the “Book About Stealing” as well. He cleeeeeeearly has issues. Now if there was only one about remembering to close the bread bag properly after making a sandwich at 2AM. That’s one I really might get behind. Maybe I should start my own imprint. 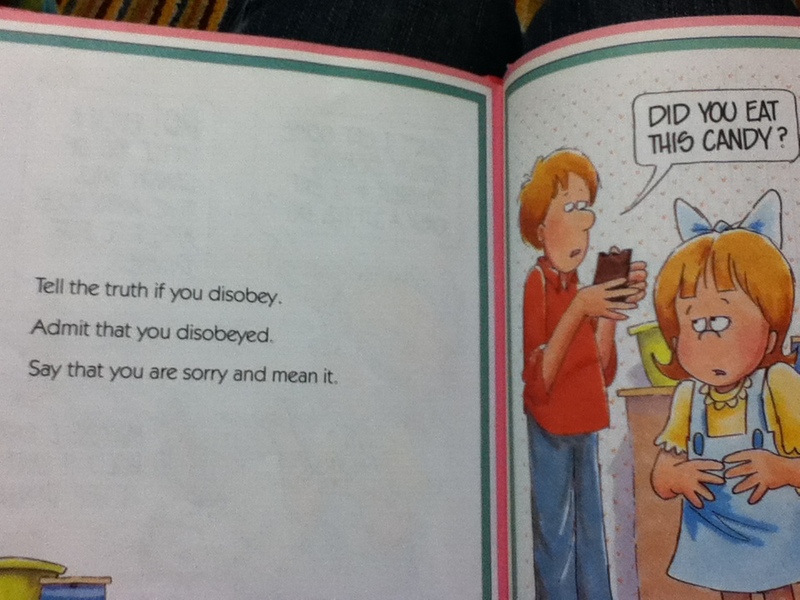 This entry was posted in Books, childcare and tagged a book about disobeying, help me be good series, joy berry on June 5, 2012 by thumbstumbler. Joy Berry has a twitter feed for anyone who’d like to follow. “Pin the crime on the toddler”! I hate text speech like LOL & ROLFLMAO, so I’ll simply say, “I laughed heartily!” and leave it at that.